Our Bristol office has hosted another special evening with a BBC producer who this time revealed the secrets of making Blue Planet II, the TV phenomenon which captured the imaginations of viewers around the world. The latest in a series of ‘Next Gen’ events was aimed at Bristol’s young and junior professionals, with staff and clients being treated to an evening of exclusive insights from BBC producer Jonathan Smith, the man behind some of the most memorable episodes of Blue Planet II. The audience was treated to a captivating behind-the-scenes look at the life of the filmmaking team, from how new filming technologies were developed to capture previously unknown behaviour by the saddleback clownfish as it manoeuvred a coconut shell into position to lay eggs in, through to the night-time ordeal suffered by the BBC cameraman who filmed the terrifying scene of a metres-long bobbit worm bursting out of its hole to capture its prey. As well as highlighting the beauty of the marine world, Jonathan also emphasised its fragility including mass coral bleaching events that were caught on camera, and his experience with finding plastic at every location where the teams filmed. Menekse Meech, solicitor in the corporate team, said: “We felt extremely privileged to spend an hour listening to Jonathan speak so passionately about the natural world. “With excellent programme-makers such as Jonathan and his dedicated team, the issue of climate change will hopefully continue to be kept in the public eye. The talk was the latest of our ‘Next Gen’ events in Bristol following February’s launch event which featured another BBC producer, Dr Chadden Hunter, speaking about his experience making Planet Earth II. Menekse Meech said: “The ‘Next Gen’ gatherings are organized as relaxed networking opportunities for junior professionals in the city. “With the healthy discussions that took place regarding the future of the planet and how we can all play our part to help address the issue of climate change, it was clear that new relationships were forged between those who attended. A key player at the BBC Studios’ Natural History Unit, Jonathan Smith specializes in producing landmark underwater wildlife films. His career has spanned projects for the BBC and Silverback Films including Life for BBC One, North America for DCI and Bears for Disney Nature. Jonathan strives to push the boundaries of natural history storytelling through surprising storytelling, innovative filming methods and by developing new filming equipment in order to transport viewers into the natural world like never before. 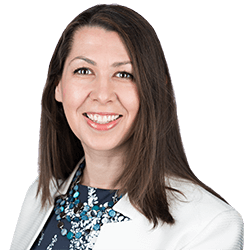 Menekse is a solicitor in the Corporate team, assisting in mergers and acquisitions and offering dedicated legal business advice. Financial advisers: how can advisers help clients with claims?